Jana Bagheri-Maurer studied biology at the University of Münster. She worked as a young researcher at the Leibniz-Institute of the Arteriosclerosis Research (LIFA) in Münster. 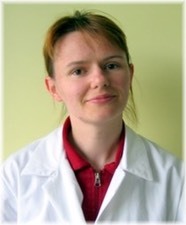 She joined BioMIP in May 2006 as a chemical technical assistant. Since then she has been working with biochemical and microfluidic experiments and supports the group in its experimental activities, within the framework of various EU projects.